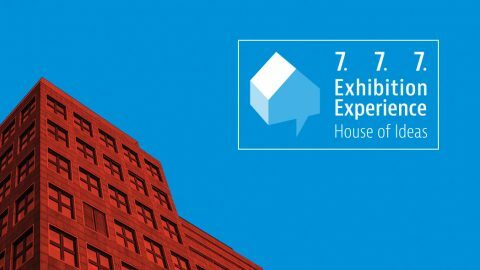 “House of Ideas“, already guiding principle of cultural, educational and communication 2016 Quasar Design University, is also the theme that will characterize this edition of 7.7.7. Exhibition Experience, usual appointment at the end of the academic year, which celebrates and shows the audience the excellence produced by students and teachers. The event, which as usual will take place on July 7, will be hosted by the House of Architecture in Piazza Manfredo Fanti, 47 – Rome. Starting with “Life A User’s Manual” by Georges Perec “, the speakers will question on how to make project operations today a poster with the task of tracking down and enunciate, through the expressive style chosen their disciplinary foundations / professional. The presentation of the new Series of Notebooks Didactic QDU, which was inaugurated with the book “Nature Devices” by Cecilia Anselmi, Sante Simone and Gianmarco Longano. Emanuele Tarducci and Gianluca Del Gobbo then present the short film “Countdown” produced by students of the course Web & Interaction Design and Product for Live Cinema Festival 2016, which will be held from 8 to 11 September at the MACRO, Museum of Contemporary Art of Rome. The event also includes – in addition to the traditional ceremony of delivery of diplomas – an expo visual and interactive installations, winding between the columns of the characteristic circular room Aquarius Roman, will offer a selection of the best projects produced by the students. The works on display will embrace the disciplines of the Quasar interest: design, interior architecture and green, graphic and visual communication, interaction design, visual effects and 3D animation.